The lovely PR girl at Aero recently contacted me and asked me if I would be interested in a foodie flavour mission…my challenge, should I choose to accept it, was to come up with a recipe for “Perfect Pairings”. I had to think of my ultimate food pairing – and if it was weird or unusual then all the better! Aero even sent me a very cool cooking kit to help me create my recipe – picture to follow (for some reason my phone camera is refusing to upload pictures tonight! I am actually quite into odd food combinations – cheese & jam anyone? My husband doesn’t believe me but it’s strangely delicious. My favourite food combination is without a doubt sweet/savoury. I could eat pancakes with bacon and maple syrup for breakfast every day if I could get away with it. 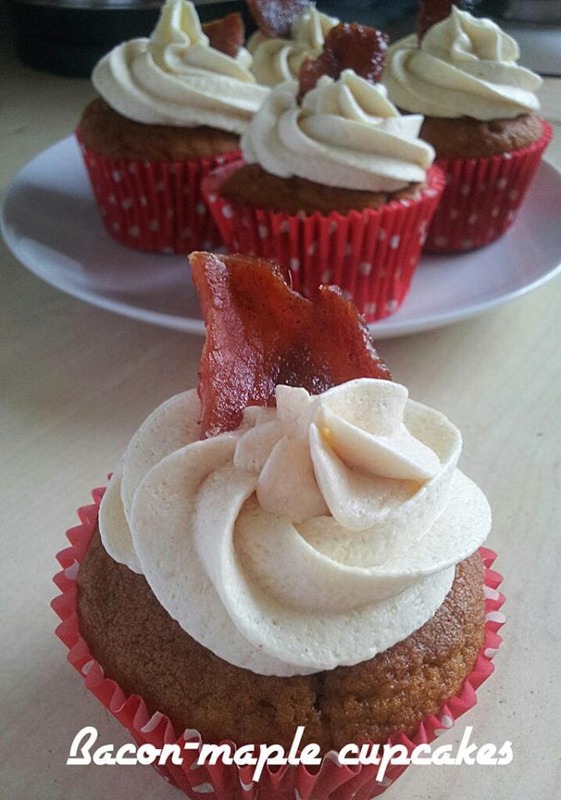 I’ve been wondering what the maple syrup and bacon combo would be like in a cupcake for ages now, and now that I’ve tried them I can tell you it’s pretty darn delicious! Line a 12 cup cupcake tray with liners. Cream together the butter and sugar until light and fluffy. Add the eggs one at a time. Pour in the maple syrup and vanilla. Add the flour and buttermilk alternately until the mixture is smooth. 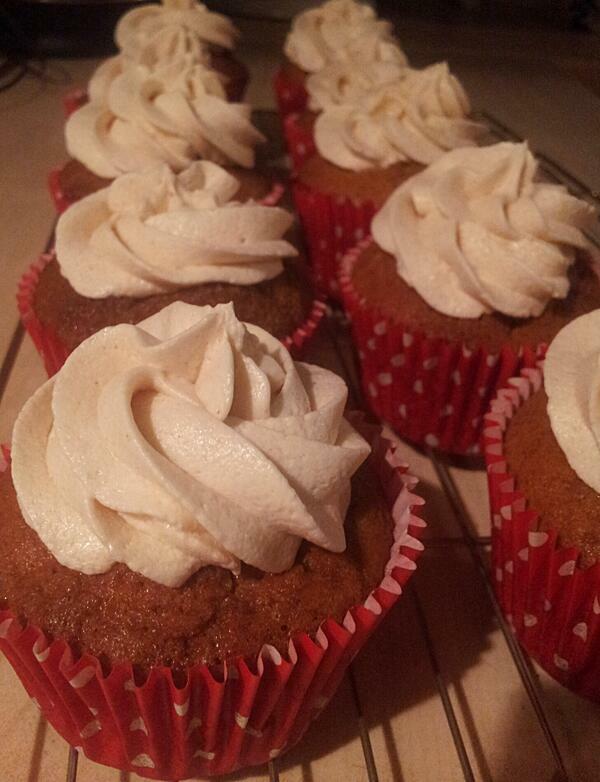 Spoon into the cupcake liners and bake for 20-25 minutes or until well risen. Cool on wire racks. Beat the butter and icing sugar together until very light and fluffy. Add the cinnamon and maple syrup and beat until fluffy and cloud like. I didn’t use a recipe as such for this..I just took 2-3 rashers of smoked back bacon and placed them in a bowl of brown sugar, cinnamon and cayenne pepper. The cayenne takes the edge off all the sweetness. I made sure the bacon was well covered in the sugar mixture, then placed on a foil covered grill pan and cook at 180C for 20-25 minutes…be careful…I nearly set my smoke alarm off at 11pm after forgetting to check the bacon! It goes black and charred very quickly! I just managed to catch mine in time and no more! Cut into pieces and use to decorate the cupcakes. Thanks 🙂 I wasn’t convinced, but now I’ve tried it I’m definitely in love! Thanks George 🙂 I’ve never tried cream cheese and jam but I can imagine it would be good!